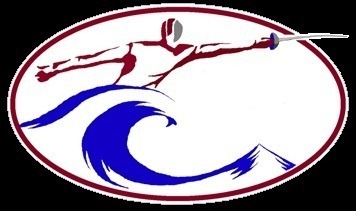 Seacoast Fencing Club has been training champions in the sport of fencing for over 20 years. Eleven Seacoast fencers have won 27 national championships, and six have represented the United States at 17 World Championship events, one earning gold as a member of the 2000 US Women’s Saber Team, and three bronze medals, two at the 2002 Junior Women’s Epee and 2002 Veteran’s Women’s Foil World Championships, and another at the 2010 Veteran Men’s Saber World Championships. Seacoast has the only parent and child to earn spots on National teams the same year, and both won bronze medals at World Championships! Seacoast is one of the strongest junior development clubs in the country. Over the past 28 years, Seacoast members have won hundreds of National, Section, and Division championships (junior, senior, and team). Seacoast junior fencers have gone on to compete on varsity teams at five Ivy League colleges, Notre Dame, University of North Carolina, Temple, Northwestern, Boston College, Wesleyan, NYU, Duke, and four have graduated from the military academies at Annapolis, West Point, and Air Force. During their collegiate careers, nearly all Seacoast juniors have become team captains. Seacoast juniors (and senior fencers) enjoy a solid reputation for competitiveness, sportsmanship, and skill, making them attractive to collegiate coaches throughout the U.S. While one of the top competitive clubs in the country, we remain focused on the concept that sports are important only for their ability to define and improve character, build strong bodies, minds, and spirits, and should always remain fun. So come join us at Seacoast Fencing Club and learn the joy of fencing!